Have You Any Business in Wood working Machinery? 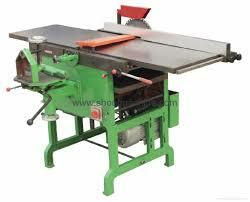 A woodworking machine is a machine that is intended to process wood. These machines are usually powered by electric motors and are used extensively in woodworking. Sometimes grinding machines are also considered a part of woodworking machinery.That machinery also known as the woodworking machine.Now a days fully automated(where some thing is made without the human labour only making by the machine where all steps are done in a step of process) machinery or semi automated machinery (where some thing is generated using the help of the machine and human labour) are very popular to any industry.So in a mechanical success these machines are make using the electrical component,electronic component and mechanical process.Cutting the wood in a small pieces,rectifying the process all are important.